Banjo & Kazooie, the adventure loving twosome who starred in Rare's '90s N64 titles, are the next characters in line to receive the statue from the talented craftspeople at First 4 Figures. A new video, which you can check out below, features a prototype of the resin model, which features gaming's most well-known bear and bird duo in mid-flight. 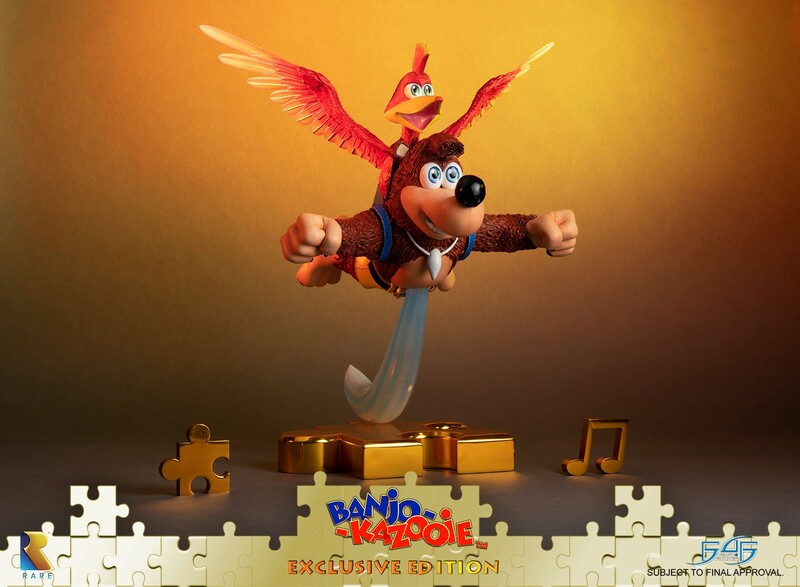 Standing 20 inches tall, the Banjo-Kazooie statue comes in Exclusive and Regular formats, with the former featuring a chrome gold plated base of the game's pesky collectible: the gold jiggy. The exclusive edition also includes separate, standalone pieces of a gold jiggy and a gold musical note. The standard edition features a matte base and does not include the extras. Also, as a surprising bonus, all pre-order customers will receive an in-game "Bird and Bear" figurehead for the swashbuckling adventure Sea of Thieves. 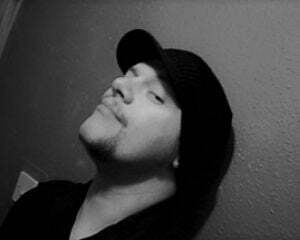 Now for the damage. 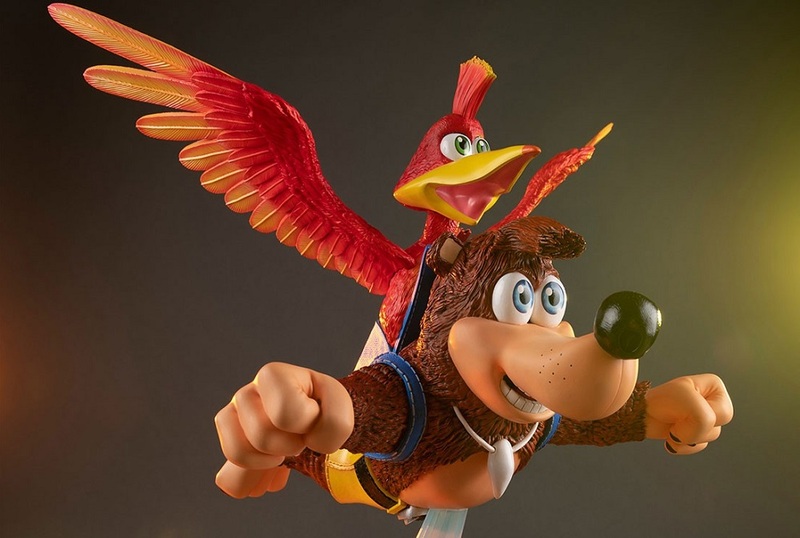 Both editions of the Banjo-Kazooie statue are currently available for reservation at the First 4 Figures store at a price of $430, with an expected release window of late 2019. Reservations for the exclusive edition are only open until August 9 and all reservists must return to the site after July 10 to validate their purchase. You can check out the link below for further details.